The clean-up of soil and groundwater is an intricate and complex activity. Remediation actions must be grounded in scientific knowledge and regulatory compatibility while considering the various aspects of practical implementation. These projects require the use of outside vendors such as drillers, laboratories, and product suppliers. The contaminants-of-concern necessitate a consideration of a diverse set of techniques designed to remediate the subsurface environment. 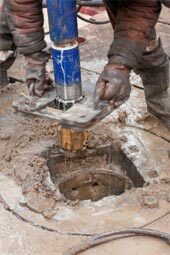 These techniques can include soil vapor extraction, bioremediation, groundwater pump-and-treat systems, and a variety of other methodologies. Environmental Support Network, Inc. has worked on projects both large and small, using various techniques, and can design a subsurface investigation and remediation system tailored to the needs of the particular project.